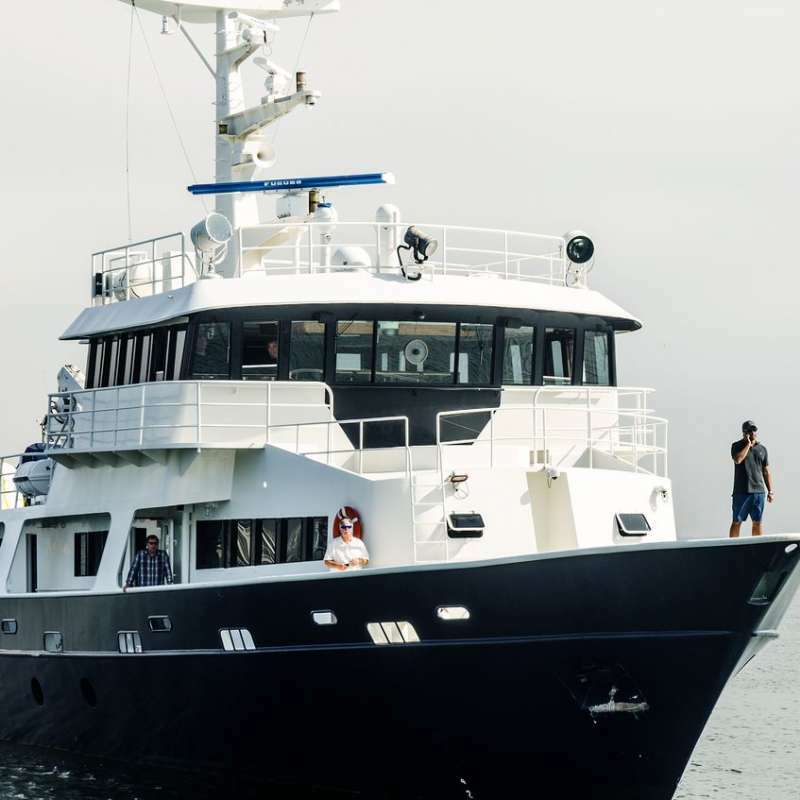 Diving with great white sharks and going face-to-face with them at 30 feet is an unforgettable experience but also very different than most people imagine. 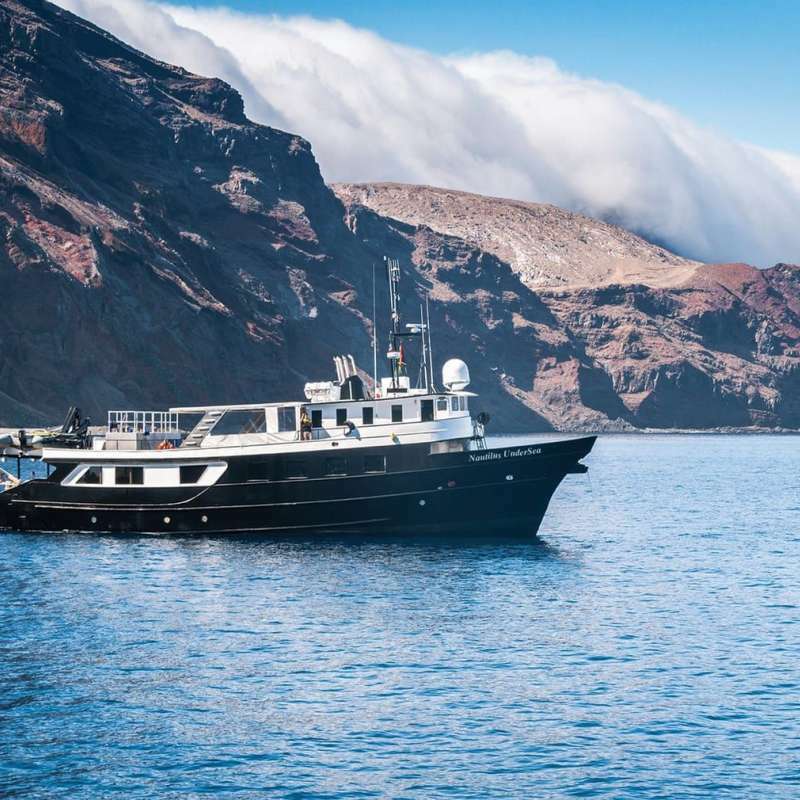 We believe in natural interaction and instead of using oil and blood and chum at the surface, we use submersible cages with open top decks to descend down to where the sharks naturally congregate. Natural interaction results in more sharks, more interaction and unforgettable up close encounters. July and August features rowdy gangs of male sharks acting just like groups of teenage boys! Female great whites start showing up in September. October and November features the enormous 18 foot dominant females affectionately known. Voyages are typically 5 nights/6 days. 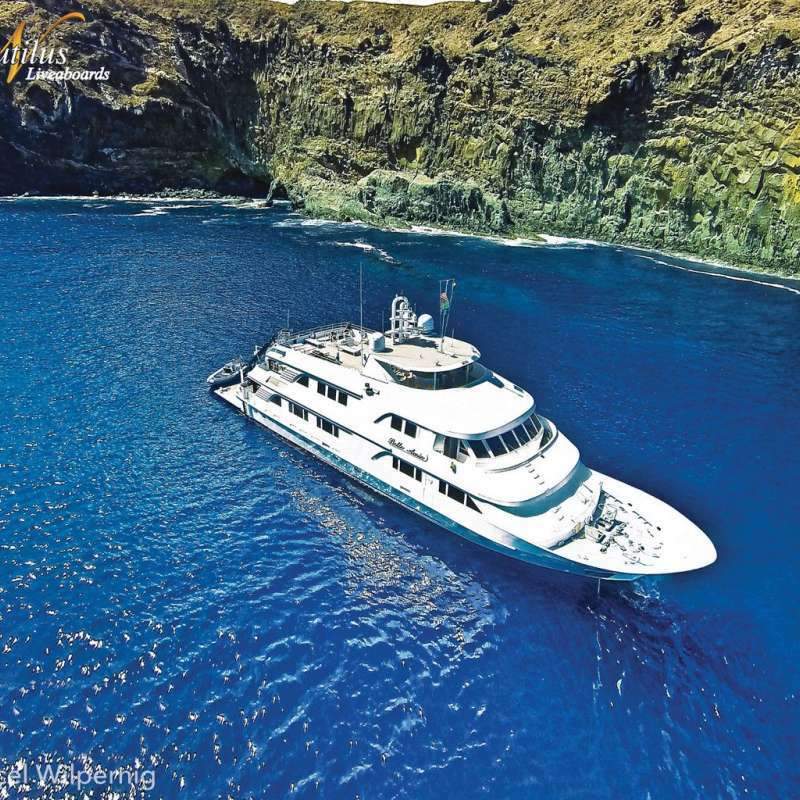 Number of shark-dives on the trip is virtually unlimited. On the first morning upon arrival we do warm-up dives and afterwards the pool is always open. Current record is 31.5 hours of cage time over 3 dive days. Cages close at 5 p.m. on the last dive day to get ready for the steam home. 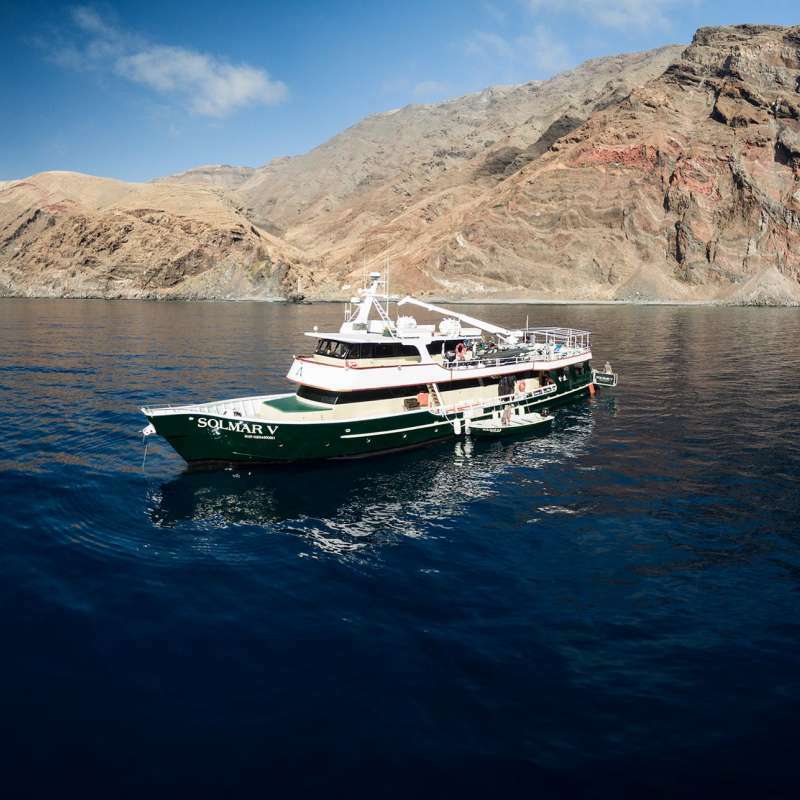 We also offer 10- and 15-night Guadalupe combo-trips. 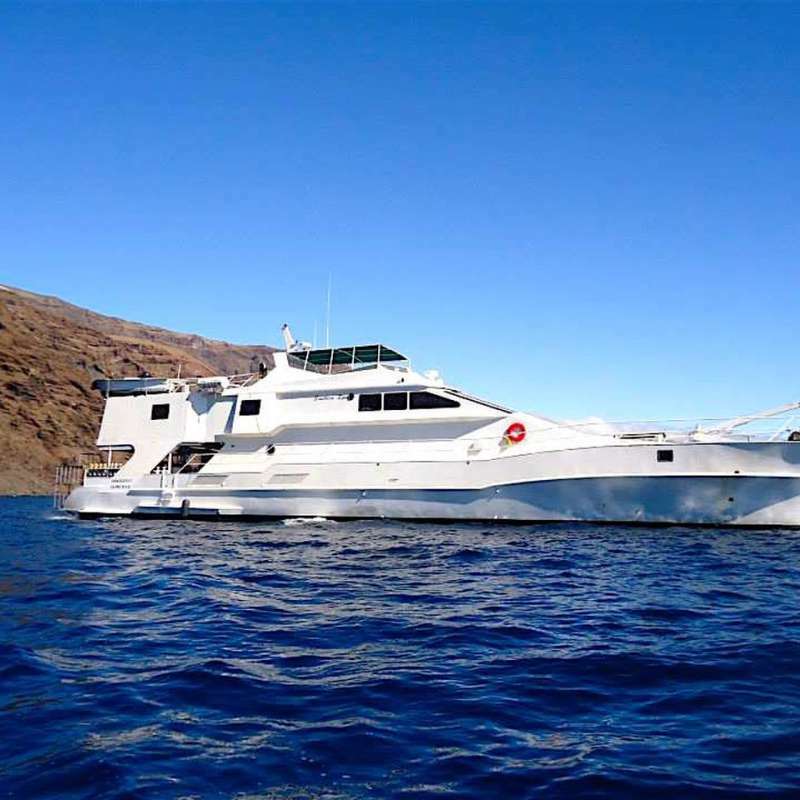 10-night trip combines diving with the great white sharks at Guadalupe Island with scuba diving in the giant kelp forests of the California Channel Islands and San Benito Islands and other remote islands on the Pacific side of Baja California. 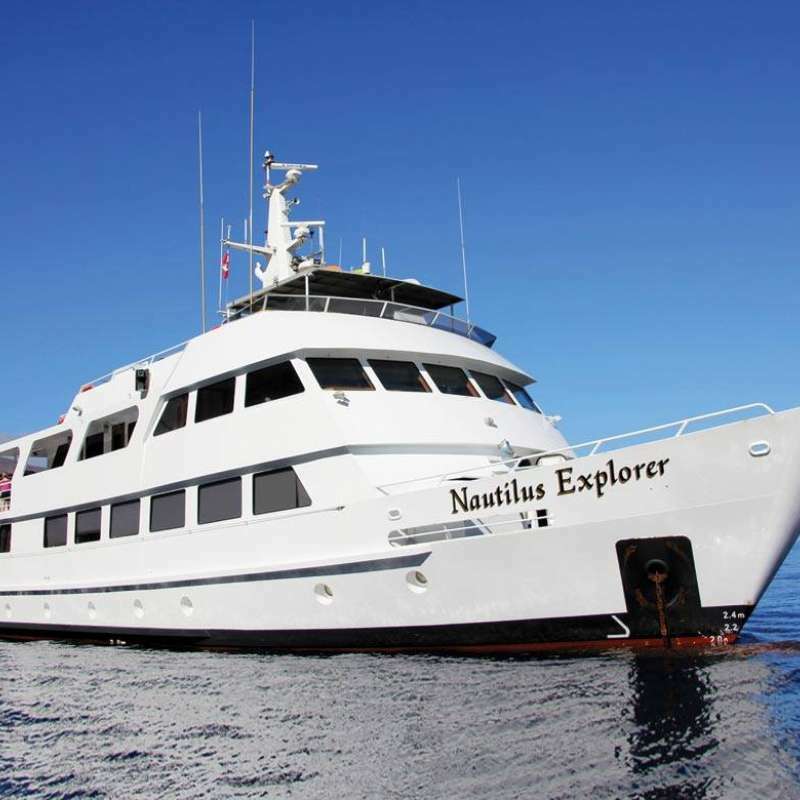 15-night expedition in November combines Guadalupe and San Benitos with the famous giant mantas and dolphins of Socorro Island. Diving is done via surface supplied hookah with backup dive gear in each cage. Submersible cage dives are 30 minutes long and if you are a certificated diver, you will have the opportunity to make 3 dives a day.. Dive time in the suspended cage and surface cage is unlimited.